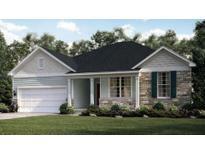 Below you can view all the homes for sale in the Andover subdivision located in Westfield Indiana. Listings in Andover are updated daily from data we receive from the Indianapolis multiple listing service. To learn more about any of these homes or to receive custom notifications when a new property is listed for sale in Andover, give us a call at 480-577-2304. Pictures may be of a similar model. MLS#21632906. CENTURY 21 Scheetz. Master suite has walk in closet, double sinks and garden tub/shower. Close to all Westfield amenities. MLS#21630616. 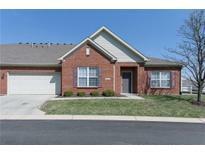 Keller Williams Indpls Metro N.
hardwood floors thruout/new Kitchen appliances 2018/Under cab & IN cabinet lighting,upgrade cabinets/storm doors frnt-bck/glass frnt door & office door/DV gas fireplace wth blower kitchen/French doors to sunroom/custom shelving/ceiling fans/"heater" ceiling fan in great room/R-3 insulated blinds thruout/whole house foam insulation/3 sun tunnel skylights/remodeled master bath with Built in space heater/Programmable T-stat/Merv-8 air filter/Water saving faucets & shower heads/hot tub/6' fence/irrigation system/2 Level patio wth lighting/garage is insulated, heated, & finished/insulated garage door/water softener/Smart Home WiFi water leak detector/soft close cab doors/arched openings/wire shelving in garage/seller providing 1 year warranty/DON'T MISS THIS ONE! 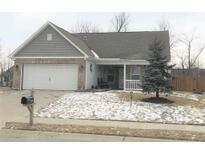 MLS#21625461. F.C. Tucker Company. Located in growing area of Westfield along with highly rated schools and the convenience to local shopping within minutes. MLS#21614547. CENTURY 21 Scheetz.